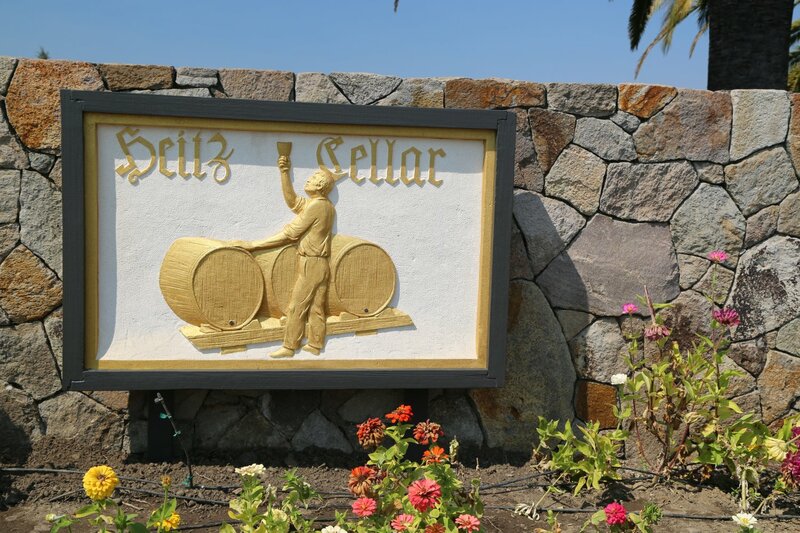 Heitz Cellar operates a tasting room located almost directly across from Hall Winery on Highway 29 just south of the town of St. Helena. This tasting room opened in 2002 and is on the location of their original winery site which was founded in 1961 by Joe and Alice Heitz. 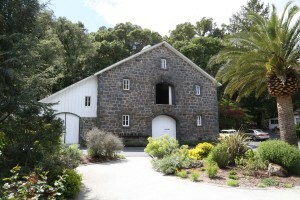 This makes them one of the older continuously operating wineries in Napa. 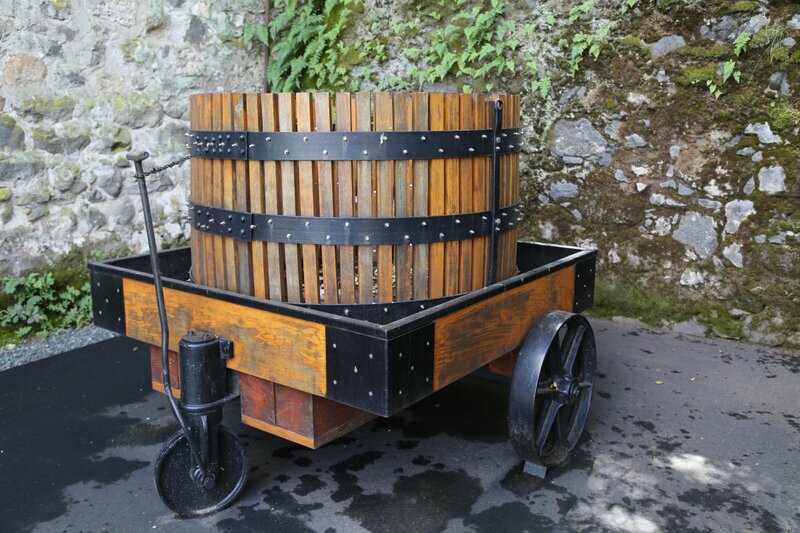 In fact when they were founded, there were less than 20 wineries in operation in the Napa Valley. 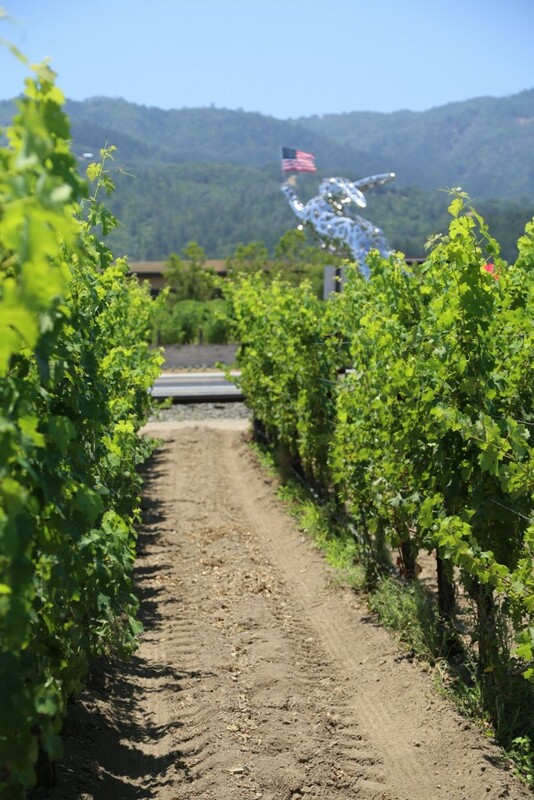 It certainly took a while for the Napa Valley to recover from Prohibition and today more than 80 years after the end of Prohibition there are now more than 1,100 producers in the Napa area making wine commercially. Joe was born in Illinois and grew up on a farm. Eventually he came to California and earned his master’s degree in enology from UC Davis in 1948. 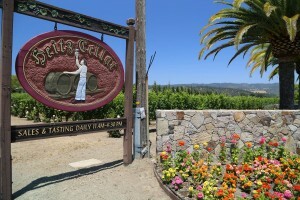 Following his graduation he had two job offers, one from the owners of Freemark Abbey at the time and the other from Gallo Winery. He ended up taking the job at Gallo where he worked with Ernest and Julio Gallo for a short while. Joe received invaluable training for a number of years in the 1950’s when he worked with the famed winemaker and soils expert Andre Tchelistcheff at Beaulieu Vineyard. 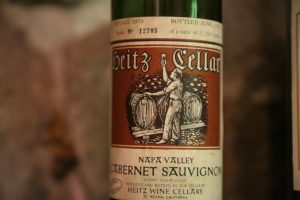 And right before starting Heitz Cellars Joe was a professor and helped setup the enology department at Fresno State in the late 1950’s. Joe’s introduction to their St. Helena property came about because of a conversation he had with long time Napa vintner Hanns Kornell (proprietor at the time of Kornell Champagne Cellars located on site of what is now Frank Family Vineyards). 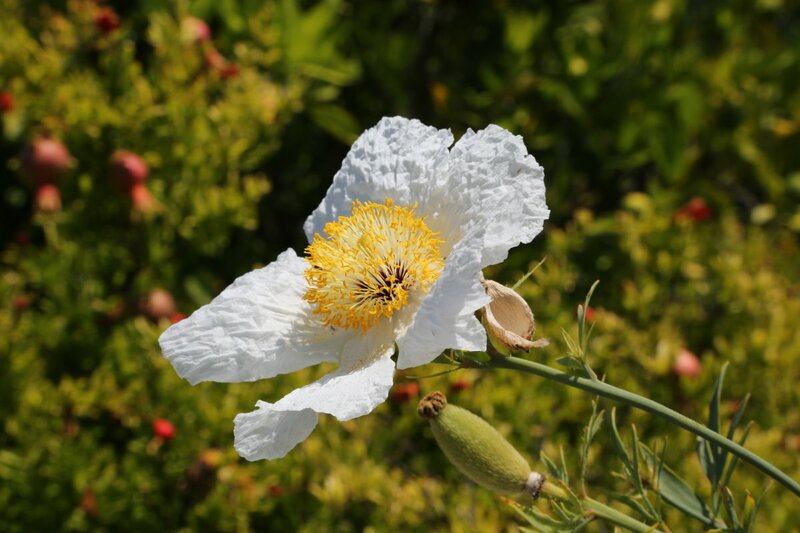 Hanns mentioned that an elderly gentleman, Leon Brendel might be interested in selling his property. In fact he was, and Joe and Alice soon purchased his 8.5 acres just south of St. Helena. 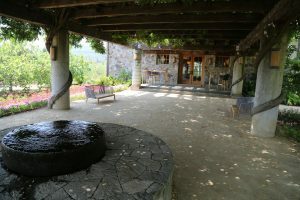 Joe passed away in 2000 but Alice is still involved to some extent in the winery operations. Until April 2018, Heitz was still very much the original family owned and operated business operated by Joe & Alice’s children; David was the winemaker (over 30 years of wine making experience – this amount of time at the same winery is quite rare) and Kathleen was the President. 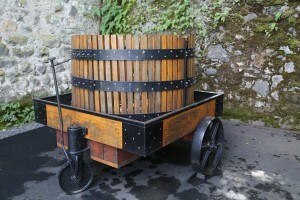 Youngest son, Rollie operated his own winery, Midsummer Cellars. 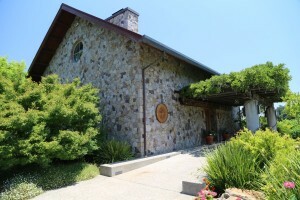 The actual winery on Taplin Road, originally built in 1898, is located about 2 miles east of the tasting room near Joseph Phelps winery. 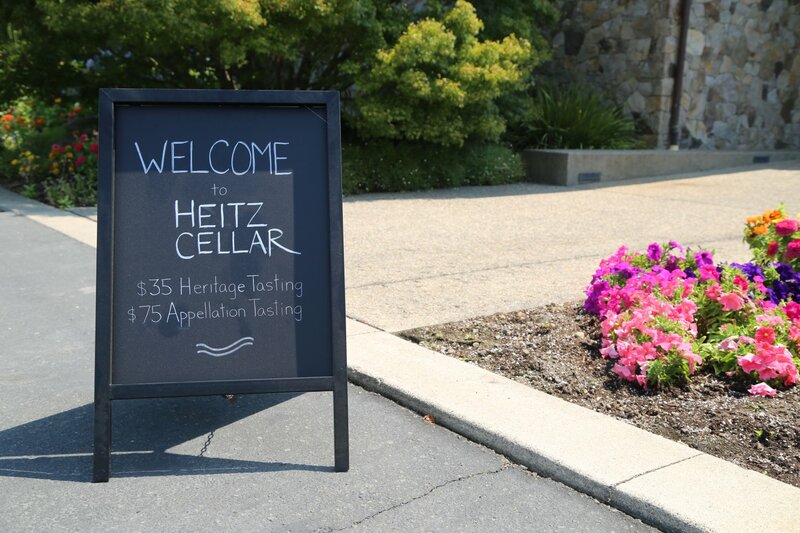 Serious Heitz wine enthusiasts may make an appointment for a winery tour (the Heitz’s purchased this property in 1964). 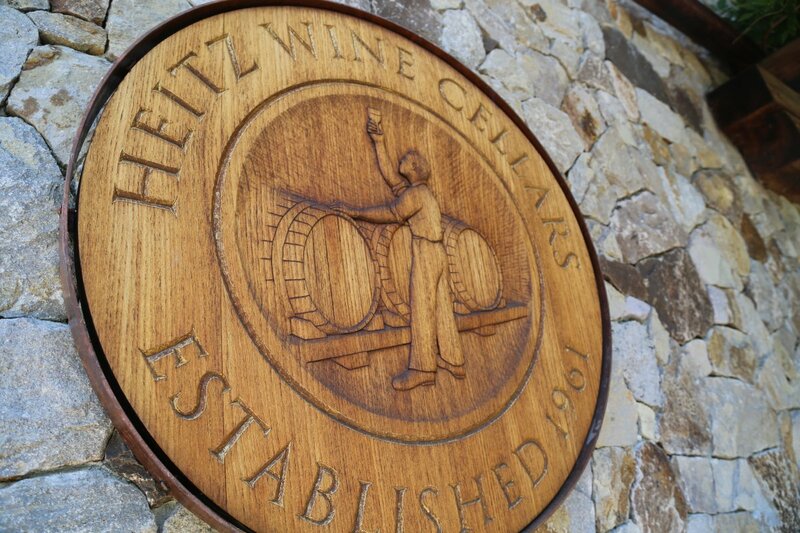 As of April 2018 Heitz Cellars sold to Memphis based Gaylon Lawrence Jr., a principal investor in one of the country’s largest agricultural businesses, The Lawrence Group (based in Arkansas). This group owns property in Florida, Illinois, Missouri, Arkansas and Mississippi and also is diversified into banking services. The sale included 425 acres of vineyards, the winery at the end of Taplin Road and the tasting room on Highway 29 just south of St. Helena. 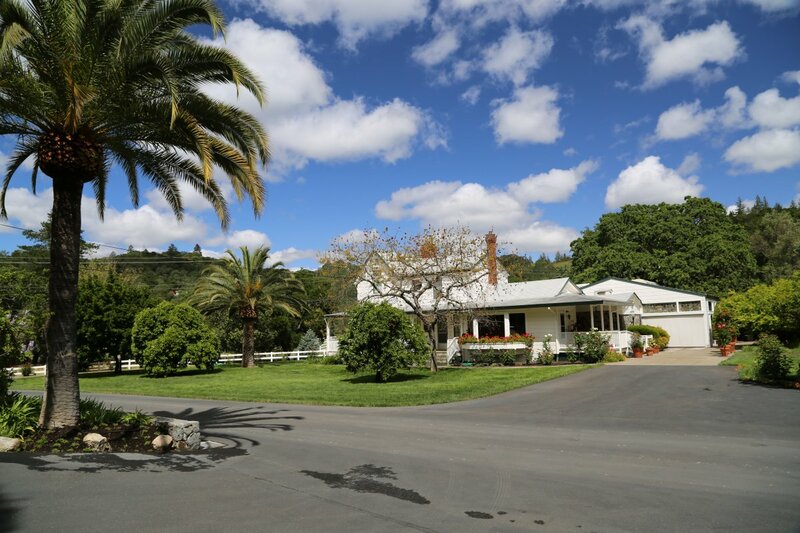 A visit to their tasting room along Highway 29 does not require an appointment although with the ownership change, they prefer one makes an appointment – as during busy days sometimes they may have to turn away walk-in clients. 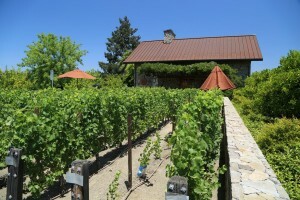 Plans also call for opening up the back terrace to accommodate more guests for tastings. Heitz Cellar was one of the very last open to the public Napa wineries to no longer charge for tastings. 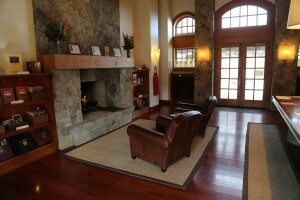 Complimentary tastings are no longer offered – visitors can select from one of several tastings including a Heritage tasting (a good intro to some of their wines) and the Appellation tasting which features some of their most premium wines and includes an older vintage of Cabernet Sauvignon. 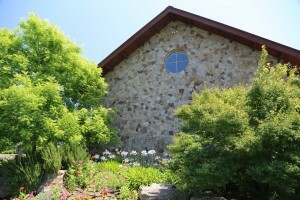 The tasting room is in a classy small stone building and your tasting will be held at a long table (not a bar). 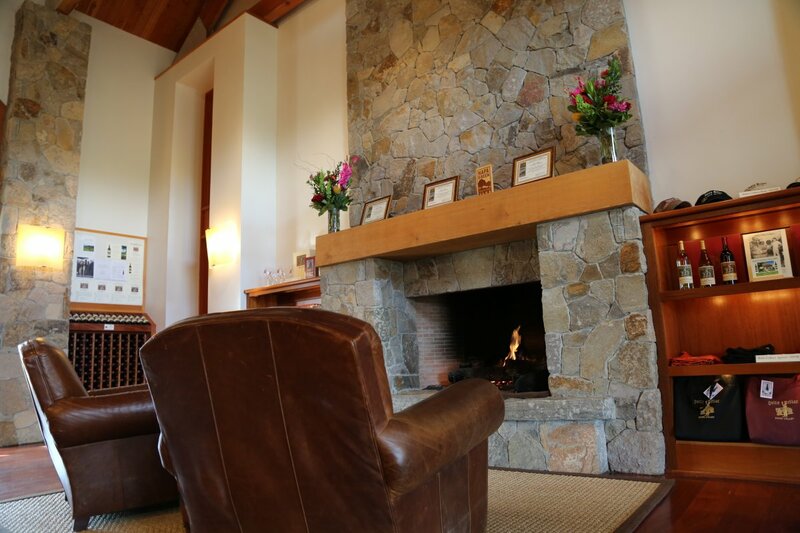 This is a very intimate tasting experience as the main tasting room is very small, with a cozy fireplace and several comfortable looking well padded chairs to relax in. 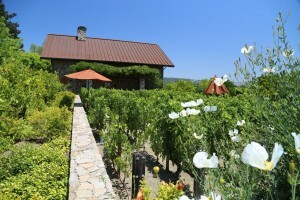 There is a large shade providing arbor out back with excellent views of their valley floor vineyards. Unlike most “table” tastings in Napa, this is not a sit down tasting, rather you stand at the wood table as your server pours the wine. 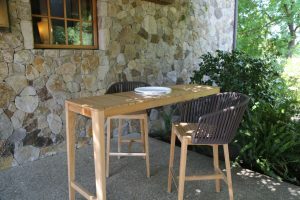 Laminated tasting notes and other details about each wine will be provided as the wine is poured. The small tasting room is in no way a reflection of their winery size. 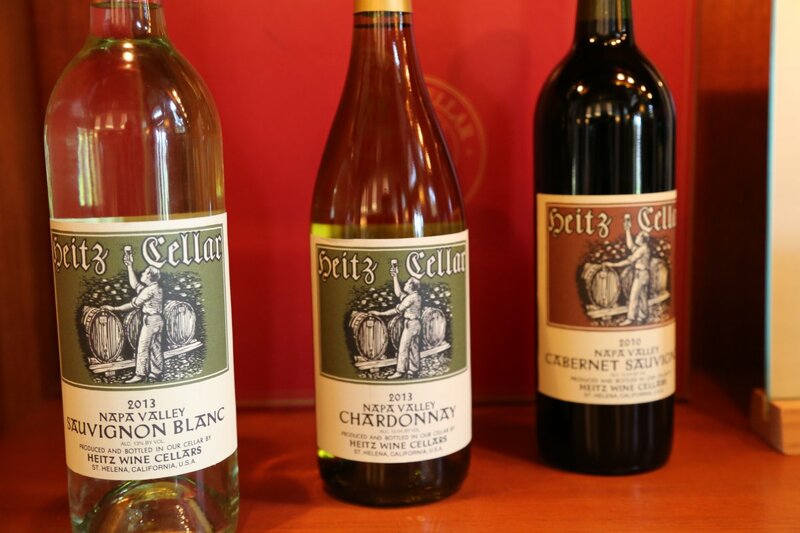 Heitz actually owns significant acreage in several different locations within the Napa Valley ranging from their winery and property in the eastern hills to acreage on the valley floor to hillside vineyards on Howell Mountain. 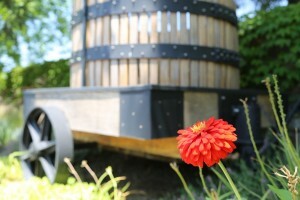 They farm their vineyards sustainably and organically (CCOF certified). 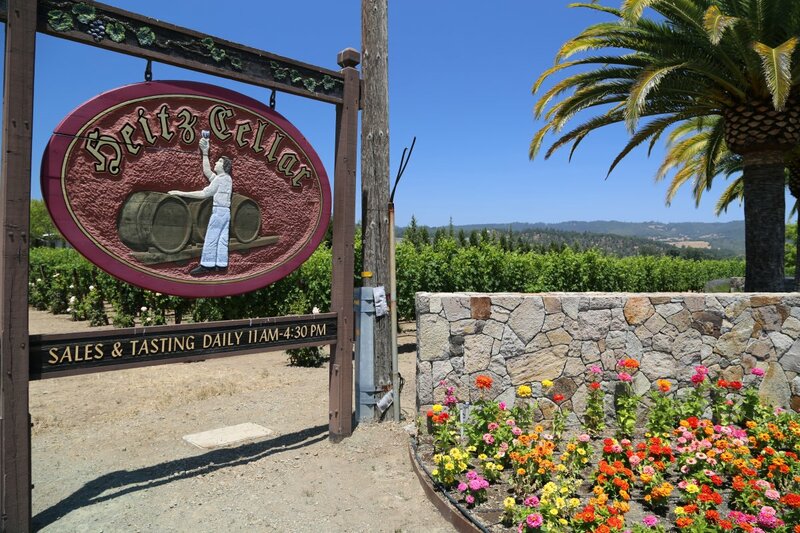 The focus of Heitz Cellars is their premium single vineyard designate Cabernet Sauvignons however they also make several other wines. We tried the 2006 Chardonnay – this wine has pleasant citrus driven aromas which lead to a palate that shows notes of lemon and green apple with some steely minerality notes towards the finish. This wine has just the right amount of tartness to pair well with food. 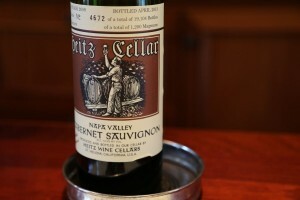 Heitz also makes a Zinfandel. 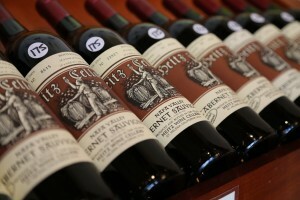 The 2005 vintage is not a jammy type of Zinfandel, rather its more lean and focused in style. It has spicy notes both on the bouquet and on the palate and screams to be paired with chocolate! Martha’s Vineyard (owned by the May family, farming their vineyard since the early 1960s) is one of the more recognizable vineyards in all of the Napa Valley; it is located against the western hills of the Oakville Appellation, one of Napa’s prime mostly valley floor Cabernet Sauvignon appellations. 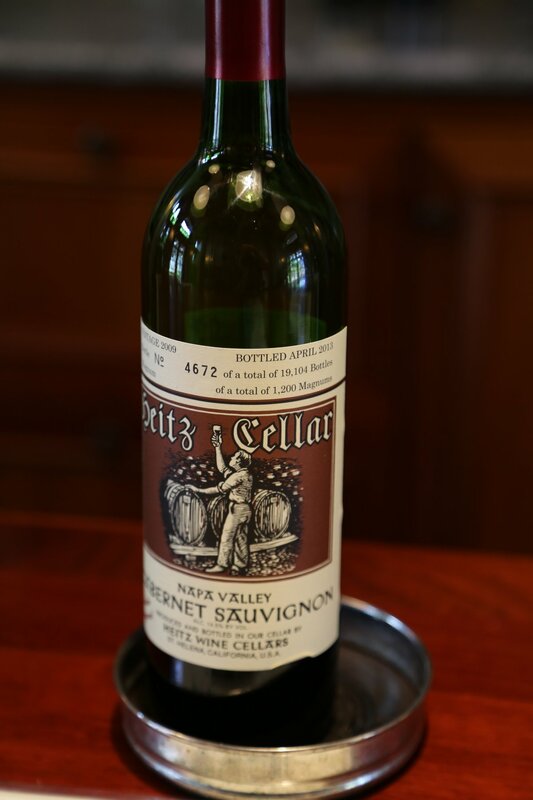 This vineyard has been producing high end Cabernet Sauvignon for Heitz for decades; in 1966 Joe made the decision to bottle this wine as a single vineyard because of its own unique characteristics. He was one of the earlier Napa Vintners to bottle a single vineyard Cabernet Sauvignon and now today some of Napa’s most sought after wines are from single vineyards. 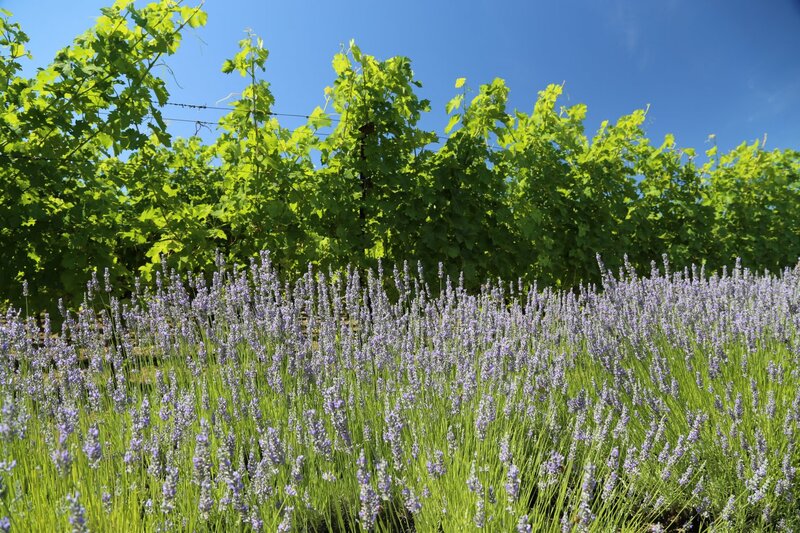 This vineyard consistently shows great fruit as well as some minty and herbal characteristics. 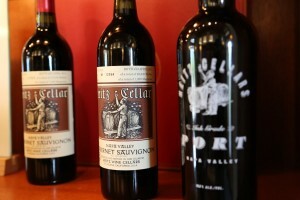 We had the privilege of trying an older Cabernet Sauvignon, in this case a 1998 from their Bella Oaks Vineyard. Age has treated this wine well; it opens with dark earth aromas, almost forest floor like as well as some tobacco and leather. Ten plus years later, the palate is still very much fruit driven and rich in flavor. The tannins have been tamed by time, but still present excellent structure and in our opinion, this wine could go at least another 10 years! 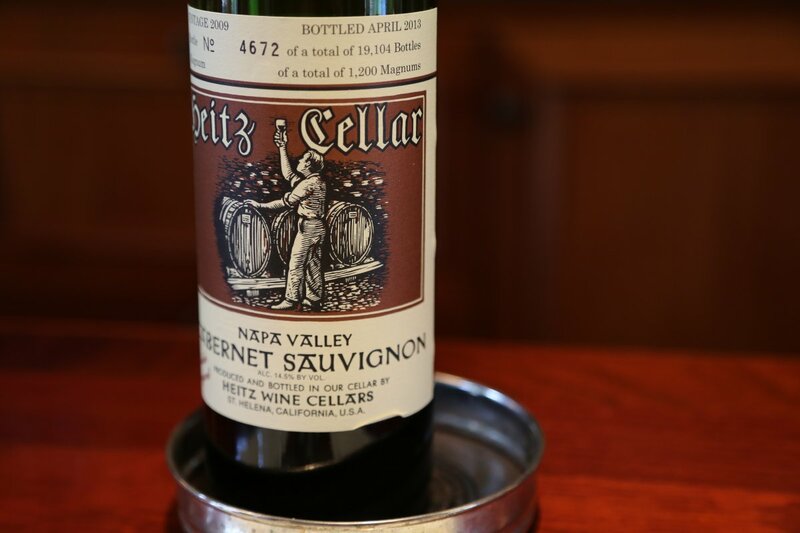 These are the types of wines that Heitz makes, wines that will age exceptionally well, are balanced upon release and remain balanced for many years. Both the Grignolino and the Ink Grade Ports are an excellent quality to value ratio. 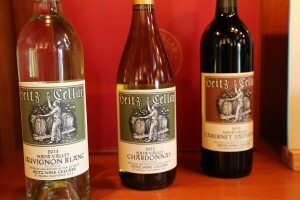 Heitz makes these two ports each year. 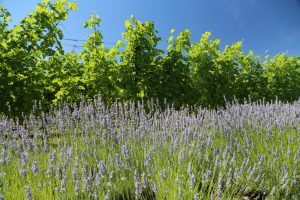 The Grignolino is a variety that is mostly grown in the Piedmont region of Northern Italy. Of 900+ commercial Napa wine producers that we have visited and tasted with to date, this is the only winery we are aware of that grows and produces this varietal. 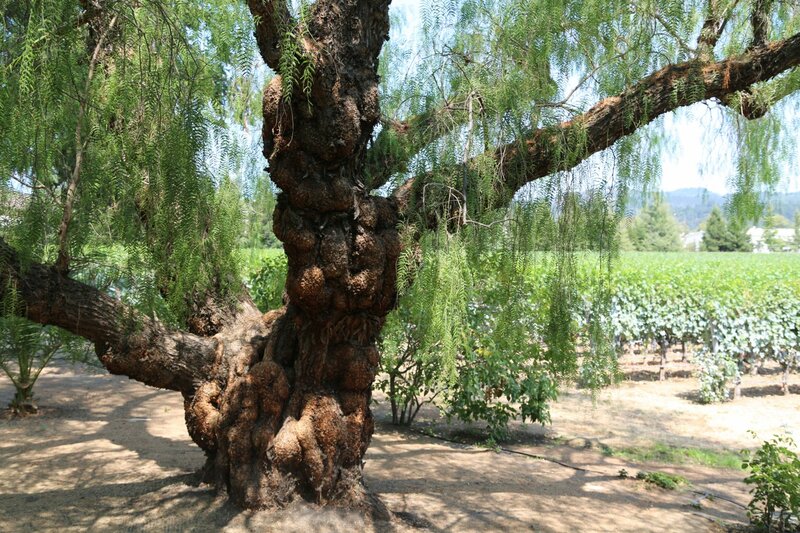 Joe was introduced to this varietal through Leon Brendel, the prior owner of their St. Helena property. 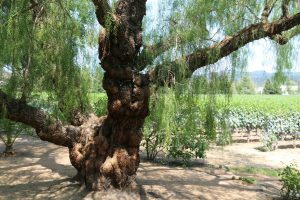 Leon was focused only on growing Grignolino. Pretty rare stuff! 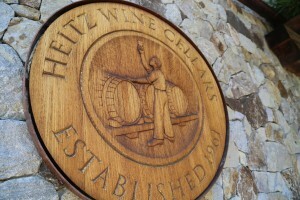 And it is pretty neat the Heitz’s continued to produce this obscure (for California) varietal. And we have been told that despite the change in ownership, Heitz Cellar will continue to make a wine from this varietal (including their Grignolino Rosé). We tried the 2004 vintage of Port; the bouquet opens up with amazing floral and fruit aromas that quickly invite a taste. Flavors of strawberry and raspberry show well with delicate tannins anchoring the finish. This wine in Italy is sometimes referred to as “little strawberry” and these fruit flavors are definitely present in the wine. 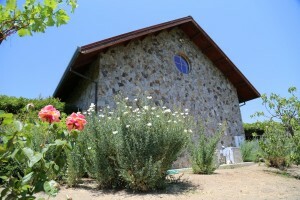 Heitz also makes a 100% varietal rosé of this wine, a pink colored Grignolino rose. The Ink Grade Port has been made every year since 1994 and only three times has it been a vintage wine. As a result, most releases are non vintage. With a non vintage wine like this you get the best of both worlds, the great fruit that comes from younger wine as well as the characteristics that only age brings. This wine is rich in flavor and alcohol with a sweetness that is perfectly in balance. Flavor, sugar and alcohol are key ingredients in these types of wines and if one of these is out of balance it can be very noticeable. 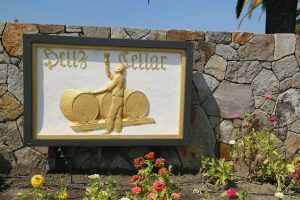 This wine is certainly not just sugar and alcohol; it has a richness and complexity of flavor not often found in Ports that are even priced much higher than this one. The nose is very fruit driven with a palate showing dark fruit including baked black cherry and plum. 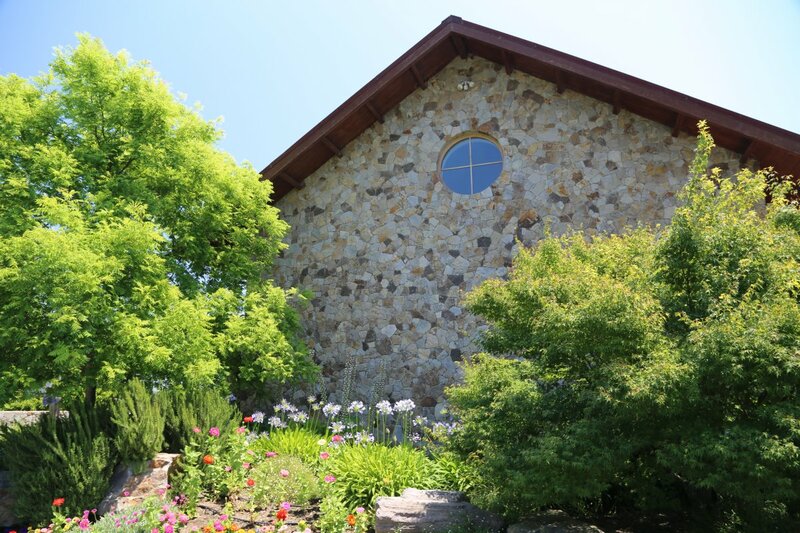 Each year this wine contains a number of ancient Portuguese varietals which grow on their property on Howell Mountain. Trust us, you will have an extremely difficult time finding these particular varietals grown in other parts of Napa! There are not a lot of Napa wineries making premium ports, and its always a treat when we find one.